Bad breath is unpleasant no matter your age or what industry you work in. Worrying about your dental hygiene can distract you from enjoying the moment, and if you are unaware of your own foul breath, you can distract others from listening while you speak. If you are concerned about your foul breath and are interested in learning about common causes and treatments, check out the details below. For a targeted care plan with useful strategies to prevent tooth decay, gum disease, and improve your dental hygiene, visit us at Family Dental Care. Our team of dental hygienists and friendly dentists in Ottawa can help you with tailored strategies to improve your oral health – including your breath! What Causes Bad Breath and How to Avoid Poor Dental Hygiene? Gum Disease: Gum disease is a common cause of bad breath since it contributes to a higher number of bacteria within the mouth. Wondering how to cure gum disease? Each case is different, but if you have gingivitis, a consistent and intensive dental hygiene routine is the best place to start. Consult with your Ottawa dental clinic for a personalized approach. Dirty Dentures: If you are a dentures wearer, proper hygiene is even more important. Overly dry, neglected, and unclean dentures can have a strong odour that lasts longer and is more potent than natural teeth, so don’t skip your daily cleaning process. Cracked Fillings: If you have tooth damage or damage to fillings, more bacteria and food particles can become trapped and lead to unpleasant, lingering odours. Dehydration: Dry mouth, caused by a lack of hydration or as a side effect of medications, leads to less saliva production. Saliva cleans your mouth and helps to remove particles from your teeth, so a lack of it can cause strong smells and bacteria to develop quickly and consistently. Other Conditions: Acid reflux, chronic bronchitis, diabetes, liver disease, and postnasal drip can all contribute to poor breath and oral health problems. Regular Teeth Cleaning: Beyond your daily oral hygiene routine, professional attention is required to clean tartar and plaque buildup from your teeth. Diet: Certain foods are more pungent than others. Onion, garlic, coffee and other foods can leave a trace in your breath for the entire day. Carrots, celery, and apple slices are healthy snacks that won’t cause your breath to smell. Drink Water: Increased water consumption throughout the day has numerous benefits, including reducing your chances of developing bad breath. Anise Seeds: Anise seeds taste like black licorice and can actually kill bacteria that are otherwise left to grow on your tongue, reducing odour-causing culprits as you chew on them. For more options to do away with your smelly breath and to choose a customized care plan, visit your dental clinic in Ottawa for a teeth cleaning. Family Dental Care welcomes new patients of all ages. Contact our friendly team to find out more about our services. 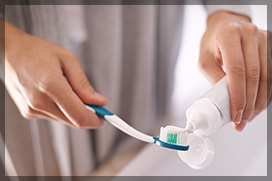 Visit the dental hygienist at Family Dental Care to get rid of your bad breath. Call us today at 613-736-5000 to book a consultation or teeth cleaning appointment.